As it draws closer to fifty years in business, BHP Plastics (manufacturer of bespoke pipework, tanks, chemical scrubbers and more) has changed its trading name and undergone a brand facelift. The well-known plastic fabrication company has relaunched with a new logo and modernised website. 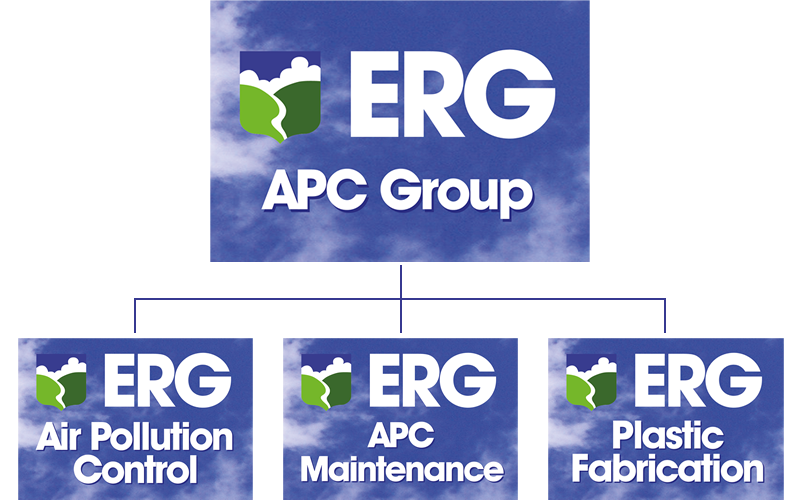 Previously known as The Ultimate Filter Company and more recently, simply as BHP Plastics, owners ERG APC Group Ltd have announced that BHP will now solely be trading under its registered company name of ERG Plastic Fabrication Ltd. The company will continue to manufacture at its Slinfold (West Sussex) base and ship worldwide. ERG Plastic Fabrication serves the energy generation, metal processing, waste handling and chemicals industries amongst others. Manufactured products include sectional vessels, chemical scrubbers, tank bunding, pressure pipes and tanks for water and chemicals. In addition to plastic fabrication the business also has specialist Infra-Red welding equipment for use with PolyPro, PVDF, ECTFC and HDPE to give contamination-free welded joints for use in the pharmaceutical and food processing industries. The final name change for the company puts its branding in line with sister companies ERG (Air Pollution Control) Ltd and ERG APC Maintenance Ltd. The new website is www.ergpf.co.uk and the new email address is info@ergpf.co.uk.